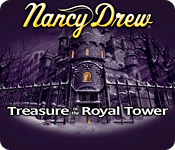 Nancy Drew: Treasure in the Royal Tower is rated 3.9 out of 5 by 15. Rated 5 out of 5 by paramiti from MY ALL TIME FAVORITE NANCY DREW GAME!!! First played Royal Tower Way Back in 2001 Played it with my brother and sister Great time then Great time now Love the atmosphere Love the characters Love the story Love learning the history of Marie Antoinette Love the mini games Love the Adventure Love the Game Have played it over 10 times Never tire of it I Always become fully immersed In gameplay as if I am really there LOVE NANCY DREW ROYAL TOWER!! 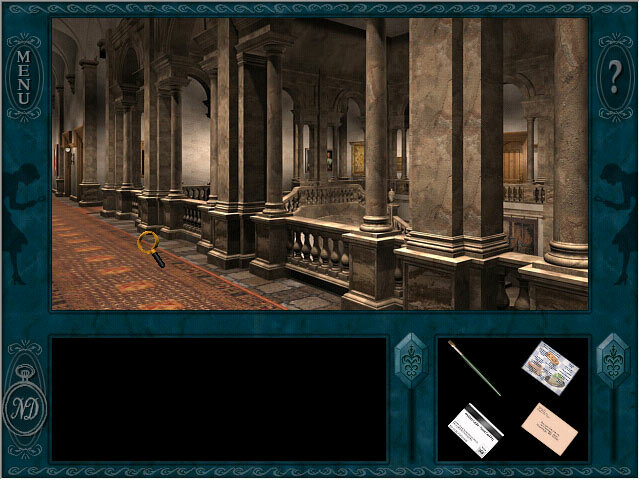 Rated 5 out of 5 by LilaJane from One of the best This is one of the best of the old style Nancy Drew games, and IMO "Royal Tower" even beats some of the newer games in many ways. Unlike "Castle Malloy", you have a free run around the castle and you're able to snoop and explore everywhere.as you like. I miss this feature in the newer games. 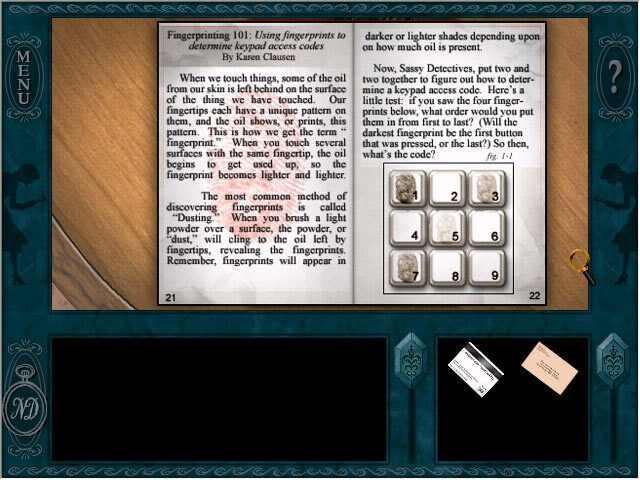 Also unlike many newer games, the puzzles you solve are mostly connected to the plot and help you move forward. Moving outside in the snow reminded me of "White Wolf", but it's done much better here. You can move on naturally, with no awkward walking motion and waiting for the scene to change. The characters are interesting enough, and the storyline about Marie Antoinette is very well done. You don't have to sleep in this game, but sometimes it's a good idea to move the clock forward, and you'll know when because you're given a cue. "Tower" doesn't have nearly as many puzzles as some other ND games, so in that way it's a little easier, also you don't have to take a lot of notes. Still you'll need your wits about you to move forward in every turn! Rated 5 out of 5 by zubat from My First Nancy Drew game The first ever Nancy Drew game I played was "Treasure in the Royal Tower." I got stuck, played other Nancy Drew games then came back and finished it! This has some parts you might freak out at, puzzles that’ll confuse your brain, and lots of funny dialog. But all in all it's a great game! Rated 5 out of 5 by Mrs_Kim from Loved it! One of the best ND games ever was and always will be. I love learning about French revolution and Marie Antoinette in this game and the castle have quite a lot of places to explore. The length of the game is quite short but the storyline is great and you will surely find yourself replaying the game over and over. Rated 5 out of 5 by 186FleetStreet from Another blast from the past I got this one for my 10th birthday, nearly 10 years ago, and to this day, I still love playing it. This was the second Nancy Drew game I got. I still get nostalgic playing it, and listening to the soundtrack. Rated 5 out of 5 by comopp from Great game I played this a long time ago and was thrilled with it. I would say get this for anyone who likes puzzles and mystery games. Rated 4 out of 5 by Icthia from Good game--just not among my favorite ND games. The setting is beautiful and there's enough to explore, but getting around is sometimes tedious and frustrating. Some of the characters were annoying, but also quite amusing at times. The main story line is interesting and game length is satisfying, but somehow it just didn't all come together for me and fell short of a five-star rating. Good game, but there are many other ND games I like better! Rated 4 out of 5 by Spazn from Good but lots of back and forth Characters had personality and animation was o.k,, and the storyline was nice. The challenges varied from simple to difficult (nice range). Most of it was intuitive with only a few small exceptions such as the controls for the compass which were to the very far left and right. Also, unless I'm suddenly going color blind, the clue for the medallion arrangement is backwards. Overall, good game and length is good even if you took out all the time spent running back and forth. Rated 4 out of 5 by mouser9169 from Good game - can be very challenging "All riddles are hard - they require you to think like the riddler." This game requires you to think like the game designers. Specifics: First off - use your phone, even if you don't ask for clues. There are certain 'clues' that you get from the normal conversations with George and Bess. I found this out after finally succumbing and looking for an answer on the forums, only to have it answered the next time I picked up the phone. Graphically: The user interface takes up most of the screen. It was hideous then, it's hideous now. But it is what it is. On a big screen monitor there's enough to see what's going on. Not exactly netbook friendly though. Characters: Flat, one dimensional. This is one part they really could have done better with. Ok, Egan (the hotel caretaker) has some backstory, but the rest (all three of them) are pretty straightforward. Setting: Once you get used to the castle it's actually not that hard. Think of it like an 'H' layout. most of the branches are dead-ends, so there's only a few ways you need to learn to move around. There's a little bit of play outside the castle - very little actually. Movement: This they failed at. The spots on the screen you have to touch to move are almost random and aren't consistent through the game. It gets annoying pretty quickly. The same goes for 'finding' a few things - very small area you need to mouse over to find them. On the flip side you'll find a sofa cushion you can move that just screams "I'll be hiding something later". The castle 'story' was interesting - the sort of thing based off crazy things people have done (moving buildings stone by stone from one place to another). The take on Marie Antoinette is a good one - and you'll recognize some books if you played the previous game. My main gripe goes back to where my review started - in order to advance the 'plot' you need to do certain things. But they aren't things you can really puzzle out (at least not all of them) you either get them, or you don't. And if you don't you'll be stuck a long time running around the halls or hitting a walkthrough. I did play as a senior detective, so junior may be a bit more forgiving in this aspect. Bottom line: if you like Nancy Drew games, it's not a bad title (personally I've picked up all the ones they have here, using free credits and sales and whatnot). It's a nice break from the HOPA's if nothing else. Rated 4 out of 5 by madonnaearth from This game is in a beautiful setting, with difficult puzzles While I had trouble getting through some of the puzzles (I'm not ashamed to use a walkthrough after I've tried everything else I could think of) I thought the game looked amazing. I felt like I got my money's worth and then some. I loved finding my way through the corridors, and working out how to use all the elevators and secret spaces. 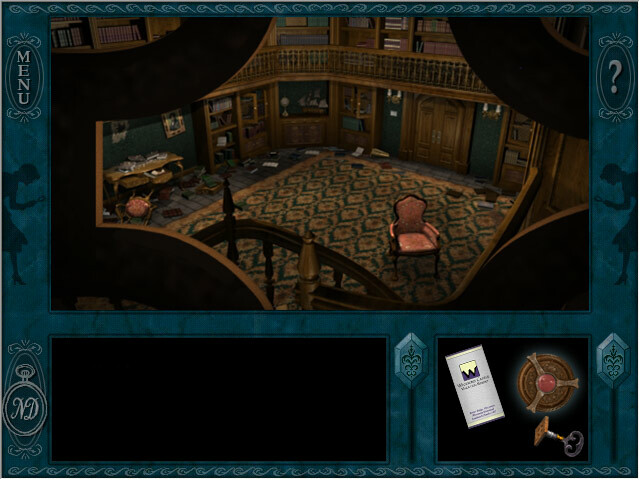 While my favorite Nancy Drew game is the Phantom of Venice, I wouldn't mind playing this one a second time. I appreciate all the reviews on the games here. It helps me make the decision of which N.D. game I want to try next. Join legendary detective, Nancy Drew, as she follows ancient clues to find the mysterious Wickford Castle`s legendary secret!